At THE FLOWER GARDEN, we customize designs with you in mind! The Flower Garden has been a fixture in Saugerties for over 100 years. 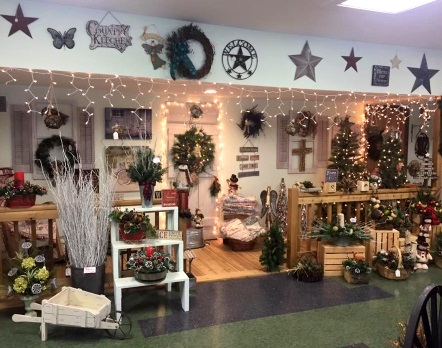 Originally located on Partition Street, the shop at 3164 Route 9 West has remained a family business, currently owned by Karen Hommel. We're a local Saugerties, New York florist delivering courteous, professional service and the highest quality floral and gift items around. Our talented designers create floral arrangements that will complement any occasion and meet your budget and style expectations as well. We also offer daily delivery service to all local funeral homes and hospitals. 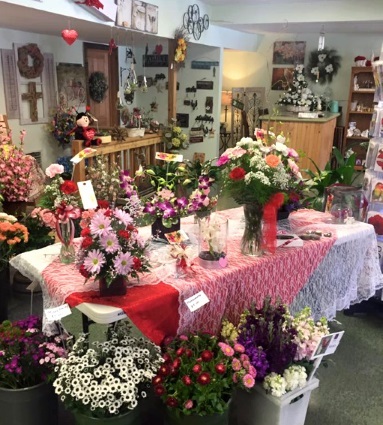 Flowers bring cheer and comfort, and florists have played an intimate role in the lives of Saugerties residents, serving them in times of celebration and mourning. 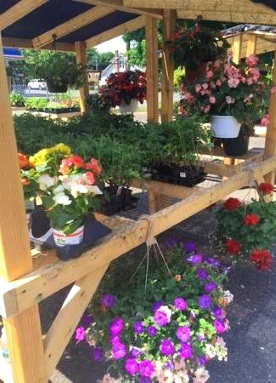 Stop by and explore our vast array of freshly-cut flowers, as well as our outdoor selections of potted plants and vegetables. 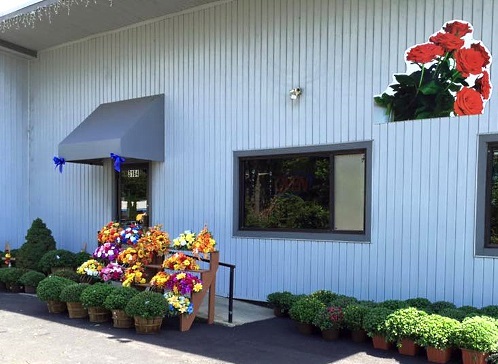 Featured in the HITS Saugerties Champion’s Kit, The Flower Garden invites you to stop by or call when you or your loved ones are in town for events at HITS-on-the-Hudson. Send bright and colorful flowers to say good luck, congrats, happy birthday or missing you, and we'll deliver them to the showgrounds for you! Visit or call us at 845-246-5961, or order flowers now on our website! Choose from our nice selection of Indoor House Plants and Outdoor Potted Plants, Vegetables, Green Plants, Blooming Plants, Hanging Flower Baskets, Dish Gardens, etc. We also offer custom made Fruit Baskets, Gourmet Baskets, Gift Baskets, Baby Gift Baskets, Shower Gifts, Candy Bouquets, Greeting Cards, Home Decor, Scented Candles, Silk Flowers, Wreaths, Plush Stuffed Animals, Saugerties Afghans, Secret Jewelry items and lots more! 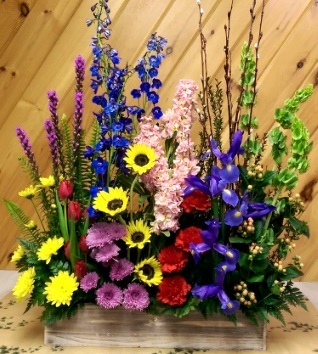 You can always depend on our knowledgeable staff to help you with ordering flowers after a friend or loved one passes. We will design and deliver flowers that beautifully convey your expressions of sympathy and serve as a lovely tribute to the deceased. Our beautiful selection of high-quality flowers and eye-catching design styles are sure to bring rave reviews on your wedding day or at any festive occasion - large or small. Create beautiful memories and show your everlasting love with flowers, bouquets, centerpieces, corsages and more from The Flower Garden! Call us in advance at 845-246-5961 to schedule your consultation. Call or visit us today… we look forward to meeting you! 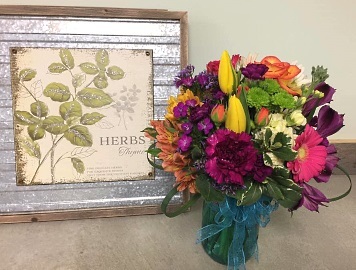 Thank you for visiting our website for flowers delivered fresh from a local Saugerties, NY florist, The Flower Garden with easy and convenient ordering available now.